It is time for our SME Networking Group to get together before summer hits! As always, we meet with a theme, relevant to most if not all SME business owners or employees. But a big part about these meetings is also the meeting in itself - getting to know people in the same boat as you, meeting peers to bounce ideas of, exchange tips and experiences - or simply come for the coffee and great company! 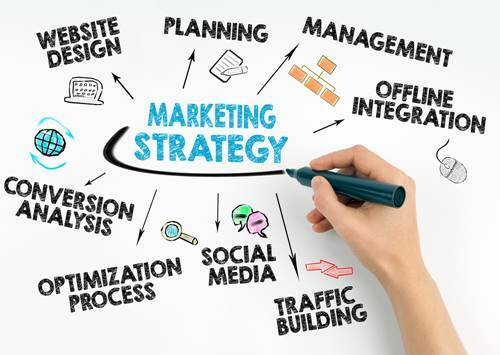 Does your company have a marketing plan? And if you do, how well do you follow it? It certainly isn’t easy when all you would like to do is to make business, but Kate Midttun, founder and managing director of Acorn Strategy has the answers. Kate has been the UAE for almost ten years working with Aldar, The Yas Hotel and then started her own company, Acorn Strategy. Having had three children and completed an MBA in the first five years of starting the company, Kate now focuses her energy on ensuring the growth of Acorn. - and of course do bring your own questions to the table! What is marketing & communication - as in why is it important? A Marketing Plan - tips and ideas on what is important and what to look for. What to include in the plan? Importance of different channels; including Social Media, PR and events. Kindly note that this is an event for Professional and Corporate members only. Kate Midttun has always been passionate about creating meaningful results through marketing, not afraid to have the tough conversations with clients to ensure the best possible outputs and returns. She is also a board member of the Australian Business Group and President of BNI Connectors Chapter. Within the last year, Kate has been invited to speak at the prestigious Holmes Report Independent Agencies event in Miami, to speak at the Australian Ambassador’s residence for Australian Story series, as well as at the Kuwait Women In Leadership event.